Welcome to our Aerogels in Building Refurbishment Webinar page. Here you will find video replay, downloadable video and a transcript of our Aerogels in Building Refurbishment Webinar held at our head offices on 8th November 2018, with John Johnston, Iain Fairnington and Keira Proctor. The webinar presentation lasts for 30 minutes, followed by an audience Q & A session. When we talk about insulating buildings, we usually talk about u-values. A u-value quantifies the rate of heat loss through a building element such as walls, roof, windows and doors. The lower the u-value is the slower the heat generated by heating systems will escape from the building, and the less energy input will be needed to maintain a comfortable internal temperature. To improve the u-value of a given element, let’s use a wall as our example, we add thermal insulation board or blankets to keep the heat in. A specific thickness of a specific material has a thermal resistance, and to work out a u-value we add all the r-values in our wall together and take the inverse of the result. Because this is an inverse, the more insulation we add, the more we need to add to improve the u-value further. Not all materials insulate equally well though, and to define that, we use a value called the thermal conductivity or lambda value. Materials like bricks or metal have high thermal conductivity, while insulation material like mineral wool or rigid foams have far lower conductivity. The thermal conductivity of a material is usually independent of the thickness. So if we bring all this together, we can take the thicknesses of our materials and divide those by their thermal conductivity to get r-values. We can then add those r-value together and take an inverse to get the u-value. This is then adjusted for any penetrations like structural elements, called repeating thermal bridges, any fixings or air gaps present, and a few other correction factors, to give us a final u-value for the element. The next step is to take all our u-values, weight them by area, and derive an overall average for the entire building. We than adjust that to account for non repeating thermal bridges like corner junction, floor zones etc, and end up with our complete heat loss model. Modern new build homes typically have wall u-values of around 0.2 W/m2K (watts per metre squared kelvin) while traditional older properties with solid walls will be more like 2 W/m2K, an order of magnitude worse, which will have a significant effect on both the heating bills of the property and the quality of life of the occupants. This is especially true where occupants are considered to be in fuel poverty, or belong to a particularly vulnerable social group such as the elderly. In such groups, poor thermal insulation can lead to a variety of health problems so it’s important that upgrading such homes is considered a priority. In historic buildings however, this priority must be balanced against retaining architectural features and maintaining the character of the building and it’s aesthetic qualities as well as ensuring the internal spaces remain large enough to be fit for purpose. Strategies to upgrade the energy performance of existing building must therefore be carefully considered, and considered holistically, as actions affecting one aspect of the building may have unforseen consequences in another. Designers must therefore have a good understanding of the materials being used both in the upgrade process and the original construction. By recognising that refurbishment cannot simply upgrade thermal insulation without addressing the balance of moisture movement and air leakage we can ensure the most optimal upgrade solutions are achieved. 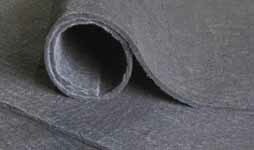 There’s a great many types of insulation on the market, with a wide range of thermal conductivity. 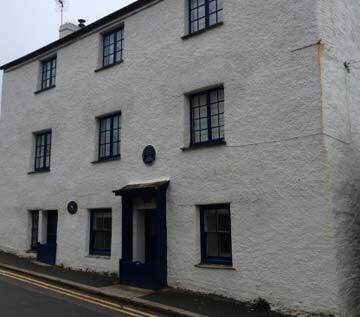 The right choice for a project depends on a great many factors, but today we’re going to focus particularly on refurbishment application and historic buildings, which pose specific challenges. 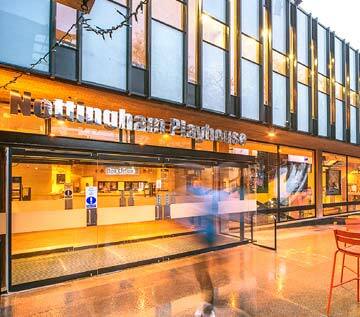 The first of these challenges is that older buildings typically benefit from highly vapour permeable insulation. This is because traditional building material such as lime-based mortar and plaster have very different hygrothermal properties form their modern equivalents. Adding insulation of low permeability, such as rigid foam, can lead to damaging moisture problems for two primary reasons. Firstly, adding any insulation will reduce the temperature of the existing wall masonry, making it more likely that condensation will occur, and will occur further to the inside as there will be less heat penetrating from the living spaces to warm up the masonry. Secondly, some insulation types such as rigid foams can prevent the drying out of condensed moisture inwards into the building, further compounding the problems. If not properly accounted for in the design, this moisture accumulation can continue unchecked, leading to increasing problems with damp and mould over time, and in extreme cases causing the masonry to degrade due to freeze/thaw cycling. Permeable insulation prevents moisture being trapped in the construction and does not disrupt the established balance of moisture flows within the building fabric to the same degree, however traditional type of moisture vapour permeable insulation, such as mineral fibre, tend to be very bulky. This leads on to the second challenge in historical refurbishment, preserving interior space. 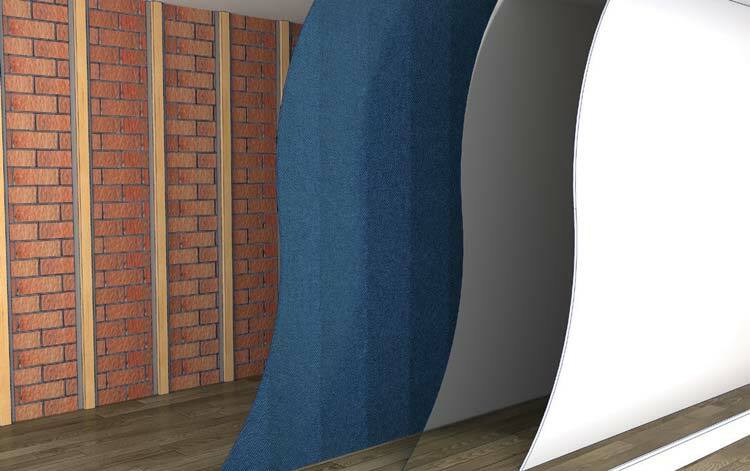 While mineral fibre or natural wool do a good job ensuring moisture can permeate, their relatively high thermal conductivity means achieving modern thermal standards can require up to 200 mm of thickness, which is not always practical to incorporate into an existing space. Aerogel composites such as our spacetherm on the other hand, can maintain permeability while reducing the required depth dramatically. This make it ideal for use in rooms with limited floor area, as well as at door and window reveals and other areas where retaining existing features limits the use of thick and bulky insulation. Aerogel is a very low density solid that was developed in the 1930s, but has only recently found mainstream uses. An aerogel is a gel in which the liquid is replaced by gas without shrinking, via a complex process called super-critical drying. The silica aerogel used in spacetherm insulation products, is essentially puffed up sand, best described as being to sand what a rice krispie is to rice. The resultant structure is 97% air, entrapped in nano-sized pores, and while a superb thermal insulator, is very brittle, limiting it’s practical applications. Spacetherm aerogel takes this aerogel and embeds it into a fibrous mat to achieve a combination of excellent thermal performance and robust flexibility. The thermal conductivity of 0.015 W/mK makes it among the best thermal insulants in use today, which, combined with it’s high vapour permeability makes it ideal in refurbishments. Spacetherm aerogel is also hydrophobic, meaning it actively repels liquid water. 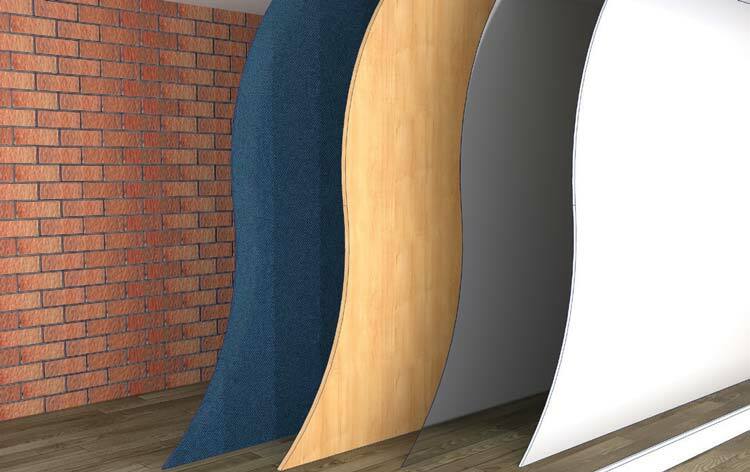 This blanket material can be used either directly in blanket form under render or plaster, utilising it’s inherent flexibility to fit round curved or uneven wall surface, or can be laminated to a variety of panels and lining boards for more specific applications. And because the aerogel insulation blanket contains no blowing agents it does not release harmful gasses into the building over time, nor does its performance degrade, with extensive testing showing no loss of thermal performance over a 50-year period. 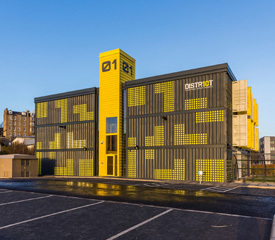 At the more extensive end of building refurbishment are facade retention projects, where the majority of the building is demolished and replaced with a modern new-build structure, retaining only the facade from the existing structure. While this method resolves a great number of the issues inherent in such projects, by simply replacing the problematic elements and features with modern equivalents, designing an effective interface between what is replaced and what is retained can still be challenging. Air leakage and cold bridging are the most significant problems to be overcome in these areas, so by combining a vapour permeable, self-adhering, air barrier membrane with a layer of high performance insulation, Wraptherm offers a simple and compelling solutions to these issues. Wraptherm is installed on the reverse of the retained facade stonework in a similar way to many self adhering damp proofing materials, however as Wraptherm is vapour permeable, it does not adversely affect the movement of moisture through the facade stonework. This helps limit damage that can occur when moisture flow through older stonework is altered but upgrade works. 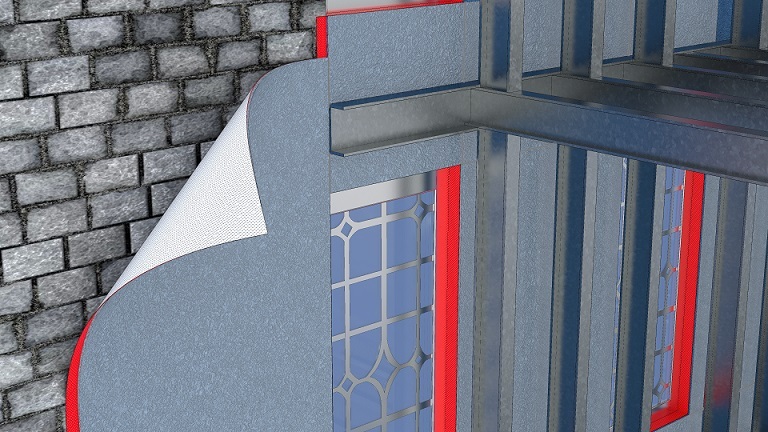 As well as protecting the existing building fabric, Wraptherm’s hydrophobic properties provide a secondary barrier to water ingress and by sealing tightly to door and window frames and other penetrations, also limits heat loss associated with air leakage. The unique layer of aerogel insulation in the Wraptherm also effectively limits cold bridging by providing a continuous insulation layer across the back of the facade, so there is a thermal break between the new structure internally and the cold outer stonework, providing a further boost to the energy performance of the upgraded building. By combining these properties into a single material Wraptherm not only speeds up and simplifies the installation process, but reduces on-site defects and requirements for costly remediation. While Wraptherm is focused more on more extensive refurbishment developments, smaller scale projects can achieve the same performance benefits using the Spacetherm-WL wall liner system. 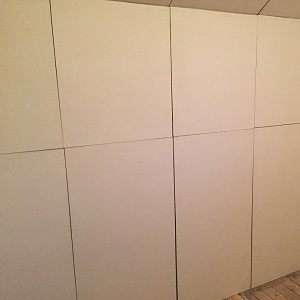 This comprises aerogel insulation bonded to a durable 3 mm Magnesium Oxide facing board and fixed in place internally using a gap filling adhesive. 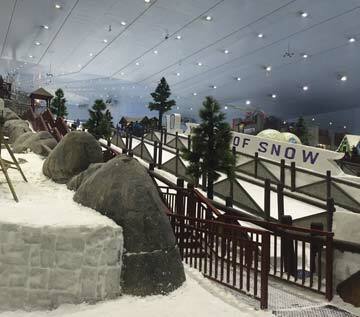 The panels can then be jointed, painted and decorated in the same way as a normal plasterboard wall. It is supplied in a 1200 x 600 mm panel weighing just 4.9 kilograms, meaning that sheets are easily handled by one person and can be easily moved to hard to reach areas or stored onsite with affecting access. Once installed, the system provides a significant reduction in heat loss with a minimal 13 mm increase in wall thickness, meaning in most cases sockets, switches and TV/network points can be left in-situ and features such as cornices and windowsills can be left as is, with no modification required. Its often the case that meaningful thermal upgrades to older properties are ignored due to the cost and problems associated with such enabling works, and resultant unforeseen added costs. Thin systems such as Spacetherm-WL therefore offers specifiers and homeowners a simple option where traditional thermal upgrade are not possible. Even though this system typically wont achieve performance in line with building regulations, even a small upgrade in thermal insulation can raise the internal surface temperature enough to avoid condensation problems. 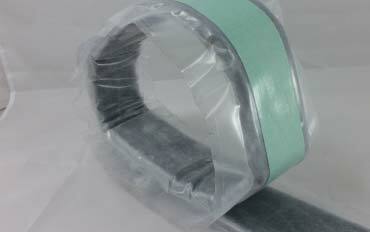 The minimal thickness also allows it to be used on space-constrained areas to ensure continuity of thermal insulation. In our example here, a solid uninsulated masonry wall has a risk of condensation across the whole surface, both the main part of the wall and at the window reveals. If insulation is added to the main wall surface, but omitted from the reveals, although the wall surface temperature increases, the surface temperature in the windows reveals actually decreases, leading to increased condensation risk in these areas. Even adding a minimal amount of insulation to the reveals will elevate this temperature by enough to mitigate this condensation risk, highlighting the importance of a continuous envelope of thermal insulation. In addition to Wraptherm and Wall Liner, the high performance Spacetherm aerogel is available in a number of other forms. 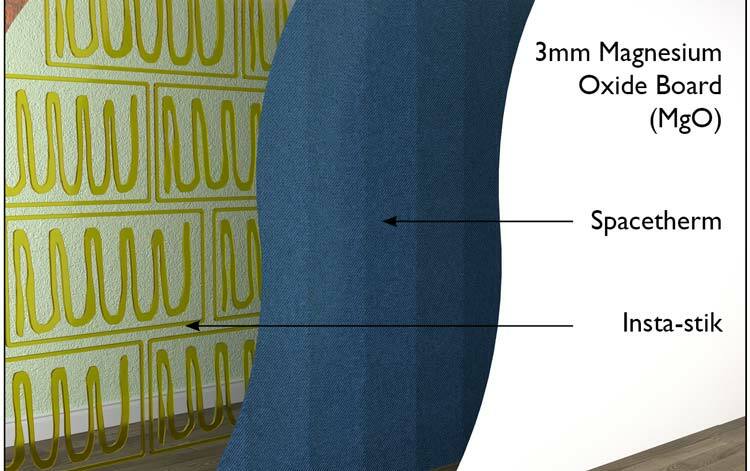 Spacetherm multi uses a similar magnesium oxide facing to the wall liner board, but with an increased thickness of 6 mm. This additional thickness allow the same board to be used in both wall and floor applications, making Spacetherm multi a simple and versatile one-board solution to upgrading the thermal performance of all types of existing structure. 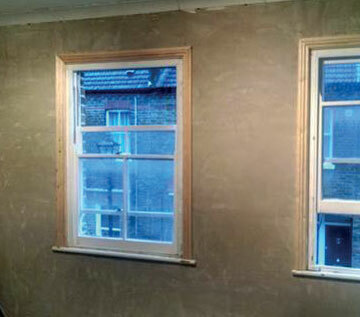 Spacetherm-Multi is available in both 2400x1200mm and 1200x600mm sizes, with the smaller sized board being ideal for projects such as loft conversions where access may be restricted, while the inherent moisture resistance of both the spacetherm aerogel and the magnesium oxide facings make it a good option for floors where the presence or condition of damp proofing make be unknown. Where a more traditional finish is required Spacetherm wallboard offers a plasterboard finish with the same aerogel insulation as the multi boards. This is fixed onto timber straps or studwork in the same manner as traditional insulated plasterboard, but offers significantly better performance. Fore applications where space is even more constructed, Spacetherm Directfix can be used to omit the requirements for the timber strapping and its associated depth. This board incorporates an additional layer of plywood to facilitate the use of shot-fired fixings into masonry substrates. The hydrophobic nature of the spacetherm aerogel insulation blankets means no additional protection is required on damp walls, making Spacetherm Directfix a one-step solution to thermal upgrades on walls with moisture issues. Both the Wallboard and Directfix panels are supplied with an inbuilt foil layer for vapour control, however if the design criteria require higher permeability, this can be omitted on request giving a more breathable wall construction allowing the free passage of moisture. We’ve talked a lot today about moisture movement in existing structures, but how do we assess this, and predict the effects of refurbishment accurately? The BS:5250 and EN:13788 standards cover the assessment of moisture movement in buildings, and both have an important limitation which may lead designers to seek further guidance. Both standards rely on a calculation method known as the Glaser method, which was developed in 1958. Glaser uses steady state heat conduction, along with average monthly temperatures and vapour pressures to identify vapour diffusion and model how vapour passes through the building fabric. This gives a reasonable assessment with a comparatively simple process and simplifies data input requirements, however there are limitations. The main problem is that this method only models moisture vapour flowing from inside to outside, and completely ignores the effects of external moisture sources such as driving rain. The model also does not incorporate the effects of material porosity, moisture absorption and water storage in the building fabric. As is stated in EN:13788 “ ‘the method assumes built-in water has dried out and does not take account of a number of important physical phenomena”. The improved EN:15026 standard addresses these issues with a new calculation method based around dynamic numerical simulation of moisture flows. This type of simulation provides a far more detailed and accurate representation of the way in which moisture both flows and accumulates in the fabric of buildings, and is the method specified for solid walls with internal insulation in BS5250. This more accurate simulation not only allows for greater variations in environmental condition and material properties, but also offers a more flexible approach to simulation time periods. Designers can look at minute by minute predictions on the building performance, taken many years into the future if required. This additional detail and time can often reveal small problems that can grow to cause severe issues over the years, issues which would commonly be missed by a simpler glaser method calculation. The trade off to using this more advance method is more complex simulation software and outputs which are more complex to determine. At the A. Proctor Group our team of technical advisers are trained to provide these simulation using the WUFI software developed by the Fraunhofer Institute, and we’ll move on to take a look at one of these assessments on a solid sandstone wall in more detail now. In this case we’ll consider a typical solid existing wall, with two skins of solid sandstone and a concrete/rubble fill core. This is a typical traditional wall type found in many area of the UK, however in this case we’ll use environmental date for Glasgow, and the internal “medium” conditions defined in EN 15026. The model will be used to examine the performance over a 20 year time period to ensure any influence from construction moisture is eliminated from the assessment and a true representation of the as-built performance is achieved. We’ll consider four different cases to upgrade this wall using Spacetherm systems. Firstly the Spacetherm Multi system, with a thin 6mm magnesium oxide facing and no additional vapour control giving a vapour permeable solution, and secondly the spacetherm wallboard, using a conventional foil backed vapour checking plasterboard facing. For both facing types 10mm and 30mm of insulation will be used, representing both the “bare minimum” thermal upgrade, and one achieving performance closer to modern building regulation standards. The first step in this assessment is to run the model with no insulation to determine which area of the building has the higher inherent condensation risk to establish which represents the worst case. If the upgraded structure is modelled using this element, it can be assumed the other, less onerous elements will perform adequately. We can see from the graph here that the west elevation has the highest predicted relative humidity and therefore the highest risk of condensation occurring. So having established the worst case scenario we can now move on to a more detailed assessment of the wall construction itself. 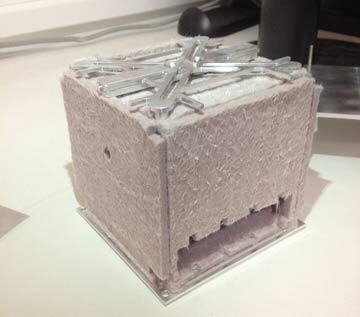 Here we can see the results of the modelling of the first case, 10mm of aerogel on a Spacetherm Multi board. The green line on the lower graph shows the relative humidity through the wall, and the blue line shows the moisture accumulation. In this although both are higher than would be the case for a more modern wall construction such as cavity wall or timber frame the moisture content is not increasing year on year. If we now increase the insulation thickness to 30mm, we can see the temperature gradient gets steeper through the insulation, but the relative humidity also increases as the inner surface of the stonework has become cooler. The moisture accumulation graphs are similar though, with no increase in water content. In the next case we can see that by introducing a vapour check into the Spacetherm board, this serves to limit inward drying, increasing the relative humidity and actually increasing the overall condensation risk. The final case combines this moisture trapping effect with the increased relative humidity from increased insulation thickness, giving the highest overall condensation risk of all four cases. As can be clearly seen, the permeability of the Spacetherm Multi boards allows for a greater drying out of the construction as this is possible to to both the interior and exterior of the building. The additional detail presented in this more complex assessment also allows designer to better quantify and hence manage the specific risks associate with this insulation upgrade. This results in much greater swings in the value of the relative humidity, but the values are lower overall than when the vapour checking Spacetherm Wallboard is used. If we then look a the water content of the stonework, this can also be seen to be lower when thinner and more permeable insulation is used. So considering all of the of the above, the risk of condensation, counter intuitively, is lowest when we omit the vapour control measures and limit the insulation thickness. The additional detail presented in this more complex assessment also allows designer to better quantify and hence manage the specific risks associate with this insulation upgrade. Wraptherm® is a composite comprising 10mm Spacetherm Insulation blanket bonded to the face of Wraptite vapour permeable, airtight self-adhesive membrane. Spacetherm Wallboard is a high performance laminate which is specifically designed to be fixed to timber straps. Spacetherm WL (Wall Liner) is a high performance laminate specifically designed to be fixed to internal surfaces of existing solid walls without the need for mechanical fixings. Spacetherm Directfix is a high performance laminate which is specifically designed to be fixed directly to the wall. Spacetherm® CBS (Cold Bridge Strip) uses Spacetherm® aerogel insulation encapsulated in Polyethelene for use in the prevention of cold bridging through a component or element of a structure.